This multi-use public park combined a variety of large, difficult to find plants including over 8000 perennials. The challenge to this project was the amount of underground facilities including electrical wiring for site lighting, sound, irrigation. 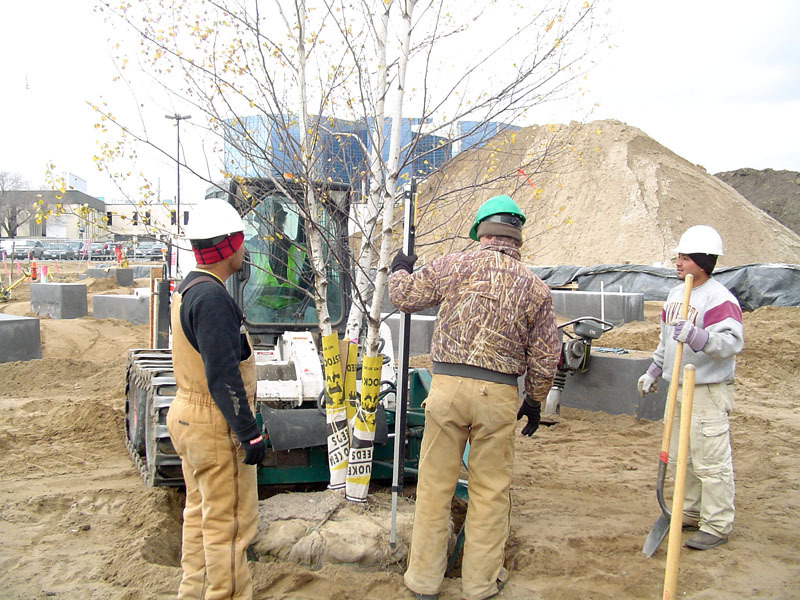 Trees were planted prior to hard surfacing and placement needed to be exact. Crisp lines were a critical dimension of this project. This project won an MNLA award.